Destiny 2: Forsaken. Digital Deluxe Edition also available. 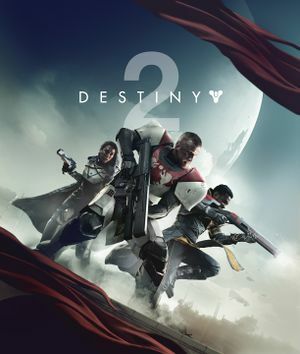 Destiny 2: Forsaken Digital Deluxe Edition. Grants access to the game's first and second expansions upon release. Level is capped at 8, and you are limited to your initial subclass (a relic for a second subclass can be obtained and fully powered, but the corresponding mission is locked). The campaign is playable up through the mission "Utopia". Can play PvP multiplayer in the Quickplay playlist only. Earth and Titan are freely explorable, but some Adventures are locked. All progress made carries over to the full game. Only available for a limited time period. The Digital Deluxe Edition includes the game, the expansion pass, and a special emblem, sword, and emote. The Limited Edition is the Digital Deluxe Edition packaged in a Cabal-themed box and steelbook case. The Collector's Edition includes everything in the Digital Deluxe edition plus several physical bonuses. Destiny 2 Forsaken includes the first two DLC and the Forsaken expansion. Save games are stored on the Battle.net servers rather than the local hard drive.
. Native 21:9 FMVs are fullscreen. Between 55° and 105°. Weapon models do not scale. Includes options for deuteranopia, protanopia, and tritanopia. ↵ Enter is permanently bound to text chat and cannot be bound to commands. Adjustable from 1 to 100. Can also invert the X-axis. XInput controller and DualShock 4 (wired connection) supported. Menus are navigated with a cursor controlled by the left stick. A prompt shows up if your controller is disconnected that can be closed either by reconnecting or hitting Escape.